World Youth Day ends this weekend in Krakow, Poland ahead of two other international festivals during the next two months that are devoted mostly to honouring the achievements of younger people. Emphasis will shift from the important spiritual fulfilment which can flow from the events of WYD to the pursuit of success through physical endeavours as the Olympic Games begin next weekend in Rio de Janeiro, Brazil, ahead of the Paralympics in the same city from 7-18 September. While strong interest is directed to those who compete in the earlier games, the endeavours of the Paralympians arguably should command greater attention. At a time when increasing numbers of people – and especially those of the younger generation – are seeking solace from aspects of everyday life through turning to drugs either legal or illegal, it’s refreshing to observe those facing greater difficulties who have worked to overcome their challenges. That’s why many who are called “disabled” want to reject that label and point to the successes of people who have carried similar burdens, with involvement in sport being part of their zest for living. They look to the achievements by any number of worthy competitors through the 14 past Paralympics. Australia has produced its share of these talented people, including Louise Sauvage, who’s often honoured as our greatest champion among Paralympic stars. Bearing the spinal disability myelodysplasia which inhibited the formation of the lower half of her body, she made her Olympic debut at Barcelona in 1992. Three gold medals and one silver were gathered there and she won four gold in Atlanta four years later. She was the International Female Athlete of the Year in 1999 and 2000; lit the cauldron for the Sydney Games in 2000; carried the Australian flag at the opening ceremony in Beijing; and, at last report, still holds four international records. 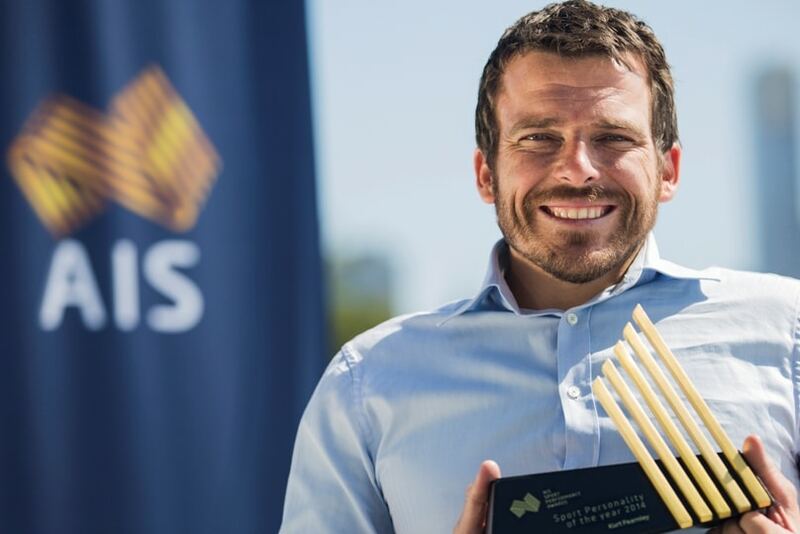 Kurt Fearnley is another outstanding achiever both as Olympic gold medallist and multi-city marathon champion who has also crawled his way across the Kokoda trail in Papua New Guinea, and has been a crew member aboard a winning yacht in the Sydney to Hobart race. Battling lumbar sacral agenesis, a congenital disorder preventing the development of the lower part of his spine, Kurt summed up his attitude to life as much as to sport after competing in the 2011 New York marathon: “I am someone who will never stop. Someone who will never give up. Ever”. They were inspiring words delivered with the resolve that has seen him accept his abilities rather than worrying about being “disabled” which is applied by those who haven’t had to deal with the hurdles that he’s faced. A spirit of determination dominated his Australia Day address in 2013 when he revealed that at his birth his parents had refused to place him in care and he went on to embrace the life he was given, being encouraged after one of his teachers introduced him to Paralympic sport. Putting aside the positive community feelings which he says were shown to his fellow athletes during the London Games of 2012, he has expressed regrets that unemployment burdens too many disabled people in Australia. “Too easily we are overlooked and ignored,” he said. “Too often the story of disability is told through unemployment and poverty. “But we stand on a precipice with the potential of change” is his hope for the future. I’ve known Kurt through his many ambassadorial roles, one of which embraces St Jude’s School in Tanzania, which provides education to 1800 underprivileged children. He’s an outstanding figure for everyone who has met him and enjoyed his company – and while his achievements may outshine many other athletes who will be part of the Paralympic contingent this year, each of them exhibits a similar positive attitude to overcoming difficulties that don’t beset the majority of us. Australia’s Paralympic Committee says that a total of 91 disabilities affect various members of our contingent who will be competing in 28 sports in Rio de Janeiro. Cheer for all those who are seeking Olympic success through August and September but especially appreciate the determination and enthusiasm for life displayed by the Paralympians. Next articleCatholics: the new stateless persons of politics?